Bravo! Vail returns to the Vail Valley on June 21, 2018, for five weeks of musical masterpieces. From orchestra concerts to small ensembles, and education & engagement you will be sure to find what interests you most. Orchestra concerts include the Academy of St Martin in the Fields, Dallas Symphony Orchestra, The Philadelphia Orchestra, and New York Philharmonic. A few shows have already started to sell out, so we recommend purchasing your tickets sooner than later. Premier seats are available or if you prefer a more casual outing, watch and listen to the concert from the manicured lawn (perfect for families or large groups). Purchase your tickets here and book your stay at The Lion to be centrally located between Gerald R Ford Amphitheater and Donovan Pavilion. June 29th 6:00pm – Women Rock! July 1st 6:00pm – Tango Caliente! Sunday, July 15th at 5:30pm at the Ritz Carlton Bachelor Gulch – Grammy Award-winning opera star Nathan Gunn, with his wife Julie at the piano, offers up an unforgettable cabaret evening of iconic standards and popular songs. 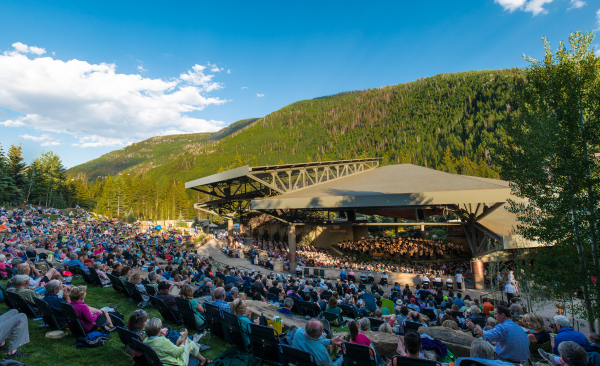 July 11th at 11:00am at Vail Mountain School MASTER CLASS – FREE Featuring Jean-Yves Thibaudet and the 2018 Bravo! Vail Piano Fellows.